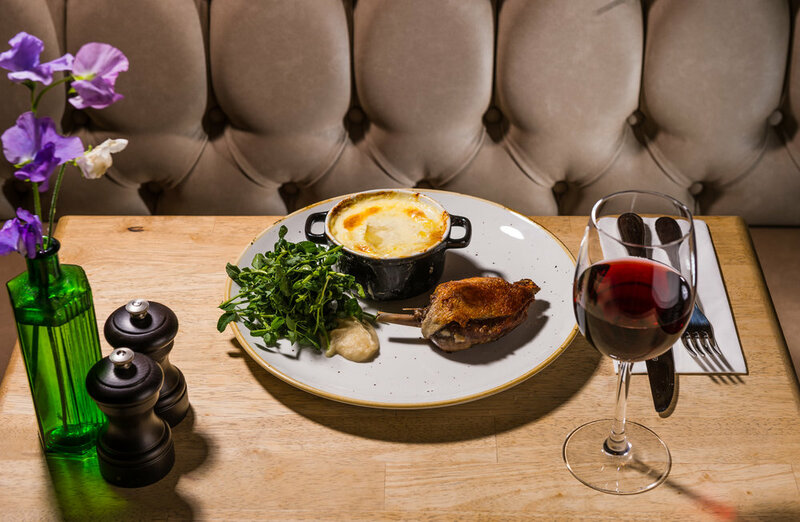 Located in Hoxton Square since June 2016, we wanted to open a restaurant to celebrate our love of French cuisine and bistro dining culture. Our core philosophy is to offer excellent cooking every day. Inspired by classic French bistros, our space is intimate and modern, perfect for everything from a romantic night out to a business lunch. 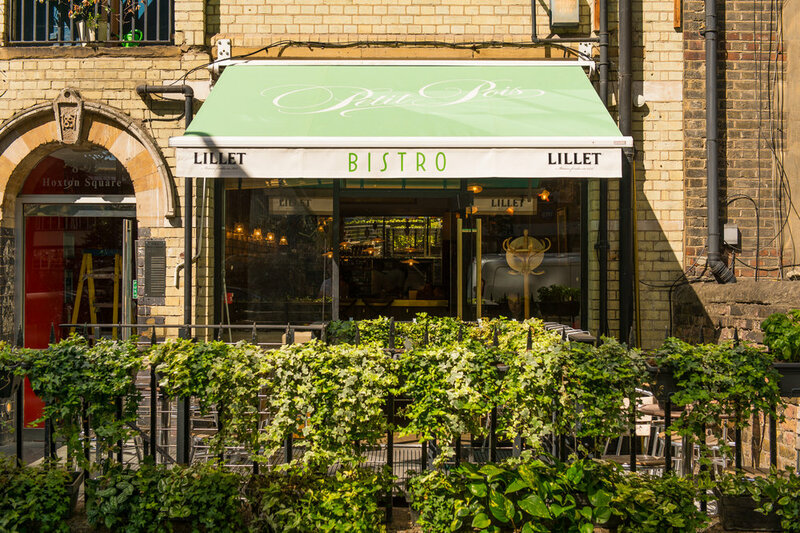 In warmer weather, we welcome you to enjoy the lovely atmosphere of our outdoor seating area. At Petit Pois Bistro, you can choose your own experience. 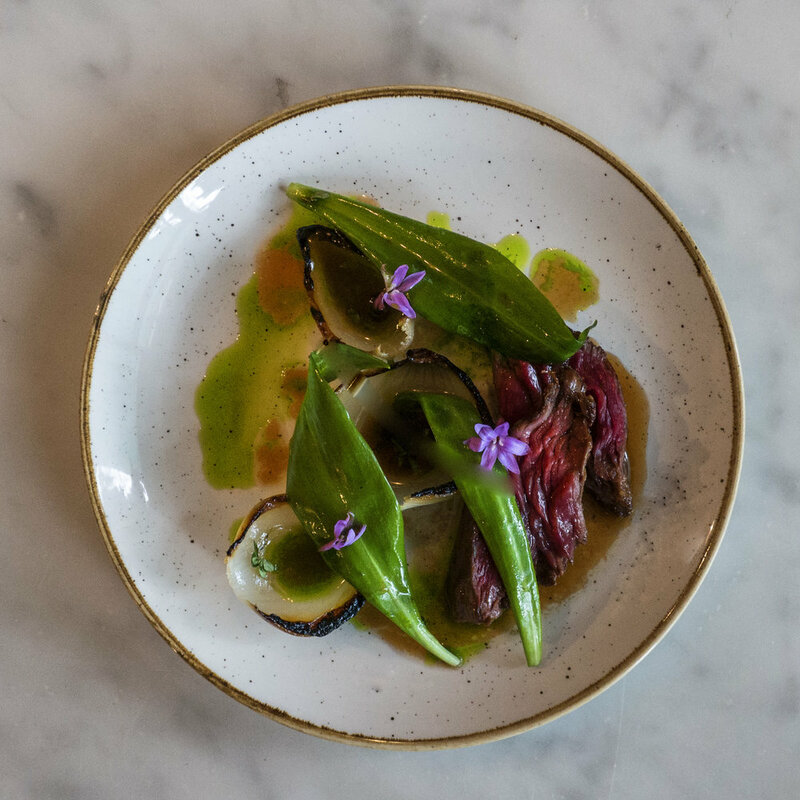 From a traditional three-course meal to Parisian-style sharing plates, our chefs bring you classical French fare sourcing the freshest ingredients from small producers. 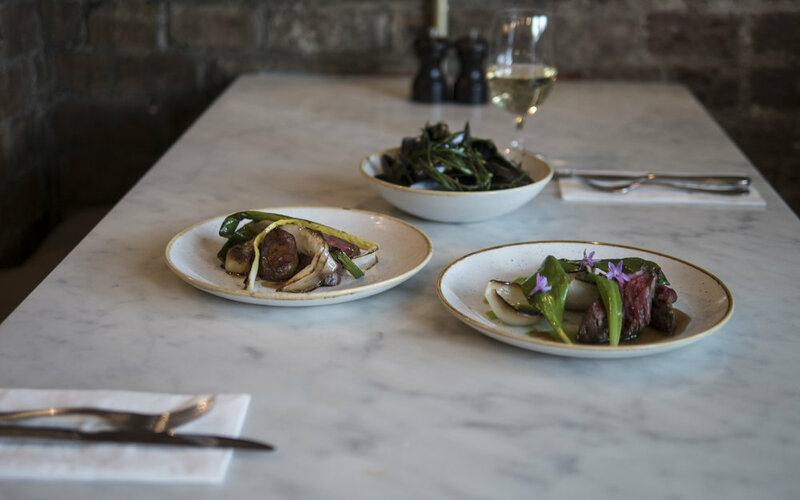 Our menu changes regularly and is always dictated by the best produce of the season. We have curated a concise but exciting wine list that draws from all regions of France and includes some more exceptional wines from the rest of the world. And don’t forget to try one of our delicious cocktails, invented by our teams at Happiness Forgets and Original Sin.